The much awaited First Song Teaser of ‘Beiimaan Love’ titled "Hug Me" has been Launched! A peppy, vibrant number, “Hug Me” has the vivacious and enviable Sunny Leone grooving in various colourful avatars! This foot tapping number is sung by Kanika Kapoor and composed by Raghav Sacha. Interestingly, the superhit duo of Sunny Leone and Kanika Kapoor had earlier mesmerized the audience with the "Baby Doll" song and they have recreated the much bigger and superhit magic again in "Hug Me" song. Music by Raghav Sachar, lyrics by Kumaar and choreographed by Vishnu Deva, ‘Beiimaan Love’ has been written, directed and produced by the maverick filmmaker Rajeev Chaudhari who firmly believes that Sunny Leone, the actor will be known now to the world through the medium of ‘Beiimaan Love’ as this will be her most intense performance till date ! SRK's new 'Raees' poster is very, very COOL! When you look at the latest poster of 'Raees', we are sure it will blow away your mind! 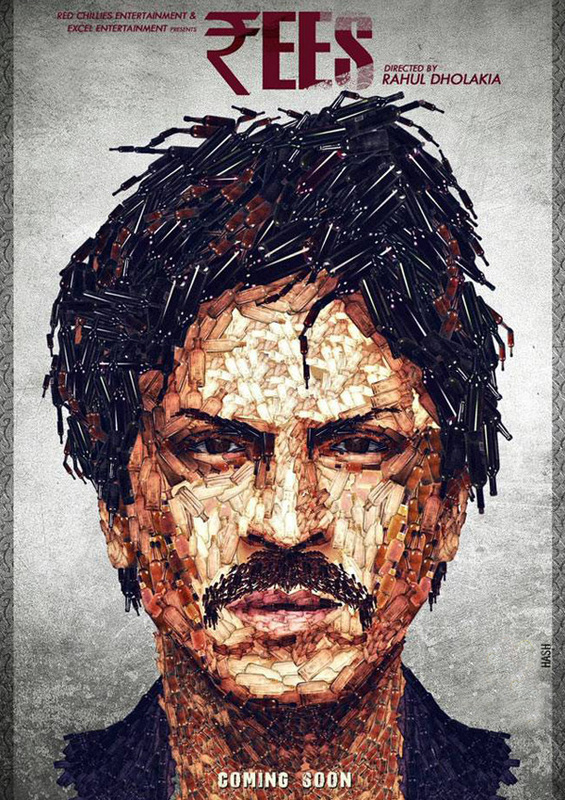 The new poster of the Shah Rukh Khan starrer is designed by Mumbai-based film publicity designer Rajesh Ghadigaonkar and it has SRK's face made up of alcohol bottles. The man himself, SRK, who found the idea quite impressive, shared the pic and tweeted thus, "Very very cool. Thank you." Directed by Rahul Dholakia, 'Raees' is slated to release on January 26, 2017.